So you are thinking of quitting smoking, but why should you do it? Remembering the reasons of why you want to quit smoking is a good way to ensure you stay quit. Put these reasons up around your house to constantly remind you of why you are trying to stop this nasty habit and get it over and done with. 1. More than anything, smoking damages your health and by quitting smoking you are protecting yourself from the harmful effects of cigarettes. It is estimated that in the United States, 8.6 million people suffer from smoking-related lung and health diseases. That is a huge number and a scary number. You do not want to be one of those individuals if you can avoid it. There are several diseases associated with smoking that you can lower your risk of if you stop now. Cancer is the big one, with smoking causing a multitude of cancers including lung, nose, mouth, lip, voice box, throat, bladder, kidney, pancreas, cervix, ovary, lip and more. Lung disease is also more common in smokers, with chronic bronchitis hitting people as young as 40 due to smoking. 2. When you smoke, you open up your chance of getting a heart attack. Smokers are actually twice as likely to die from a heart attack than non-smokers. In addition, due to blood vessel diseases, men who smoke are more likely to develop erectile dysfunction. Do yourself a favor and quit smoking now. Forget about picking up that cigarette and instead choose to put it down. 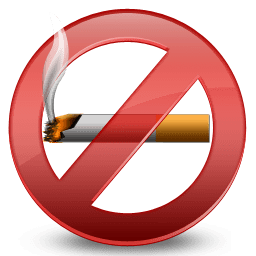 You will be doing your body a lot of favors by stopping smoking. In addition, you will be living a longer life, setting a better example for your children and also ensuring that you will be able to spend more time with your children. Quit smoking now to keep yourself from becoming another statistic that no one wants to be. Put up the reminders of why you want to quit smoking around your house so you can always remember the reasons you are doing this.